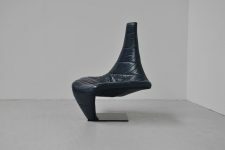 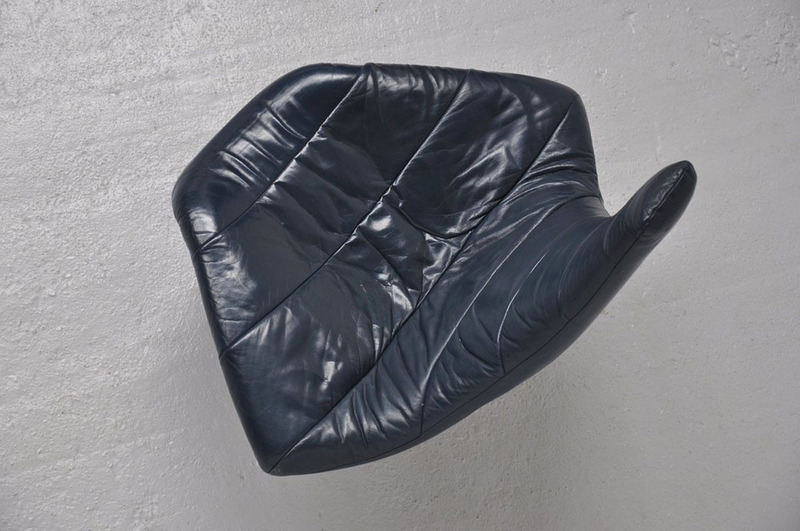 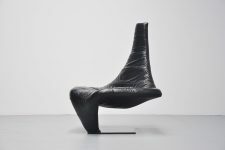 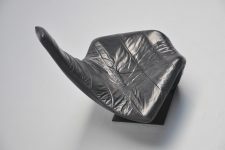 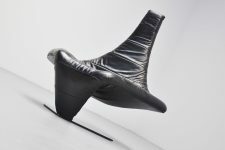 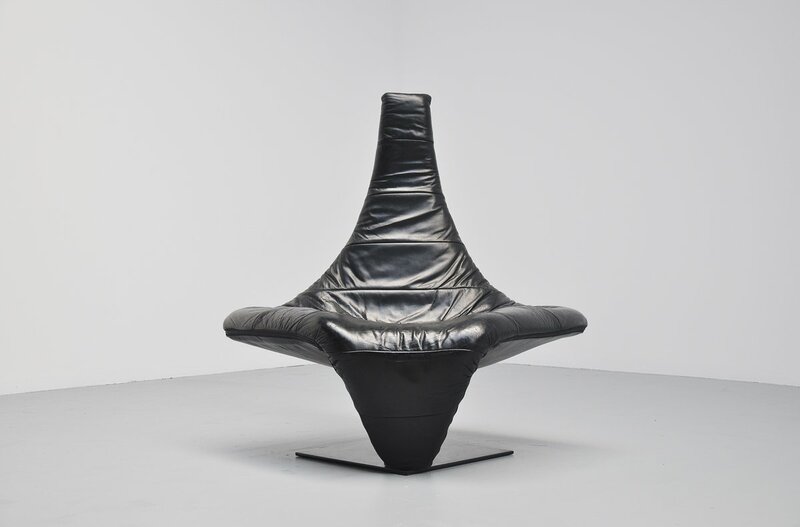 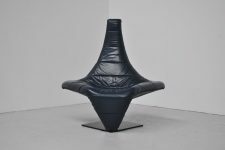 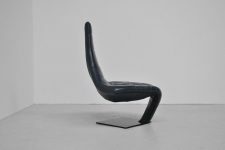 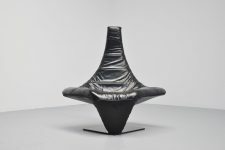 Very nice shaped and super comfortable chair designed by Jack Crebolder for Harvink, Holland 1982. 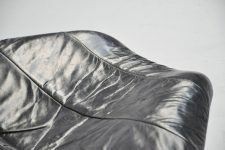 This chair is fully covered in black leather, it has a metal frame covered with foam and fabric for super comfortable seating. 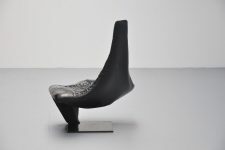 There are only 200 chairs made of each color, black, white, red, blue and grey in limited edition. Rare chair in good original condition with some minor surface wear to the leather.